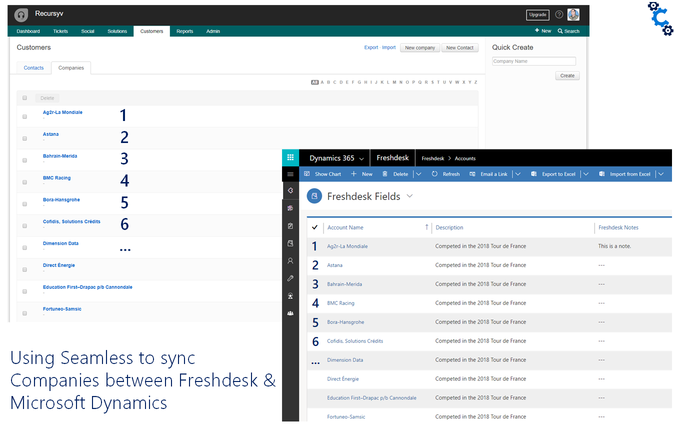 Quickly integrate your Freshdesk implementation with other applications across your software estate. 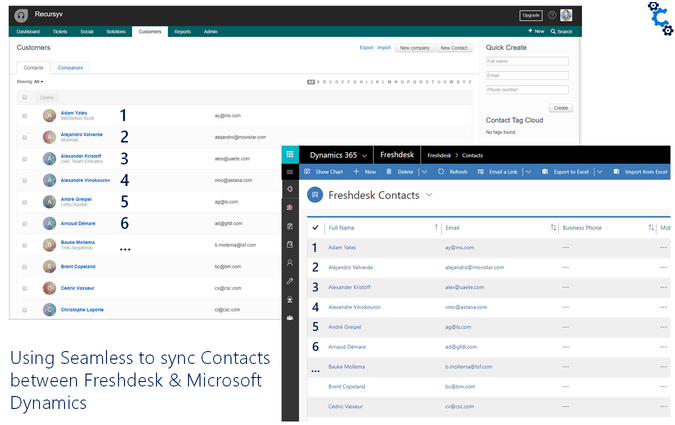 Connect your Freshdesk implementation to any cloud accessible application in order to share data across applications. 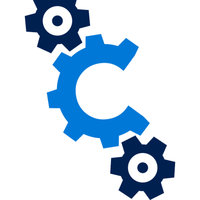 Quickly deploy integrations using our templated connectors for a number of popular cloud applications. Or extend our platform connectors to deploy integrations in RESTful (JSON data), SOAP (XML) and even CSV/text file scenarios. The service is made up a core data integration service which manages the transfer of messages and a series of data connectors which retrieve and update data from source and target systems. The architecture decouples source and target systems which introduces both resilience as well flexibility for changing integration needs. 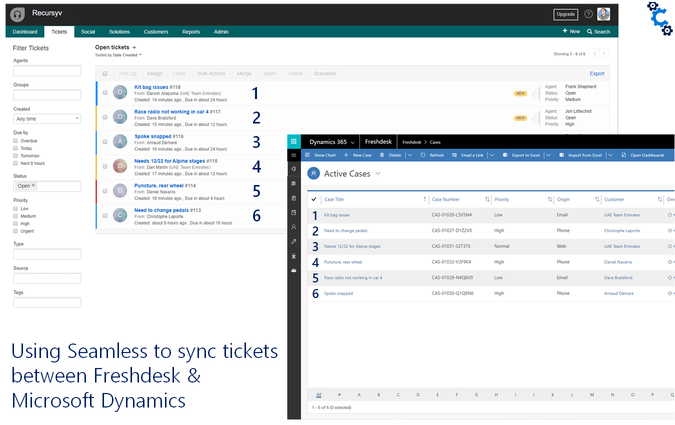 The service is hosted within Azure, taking advantage of Azure's resilience, security and flexibility. 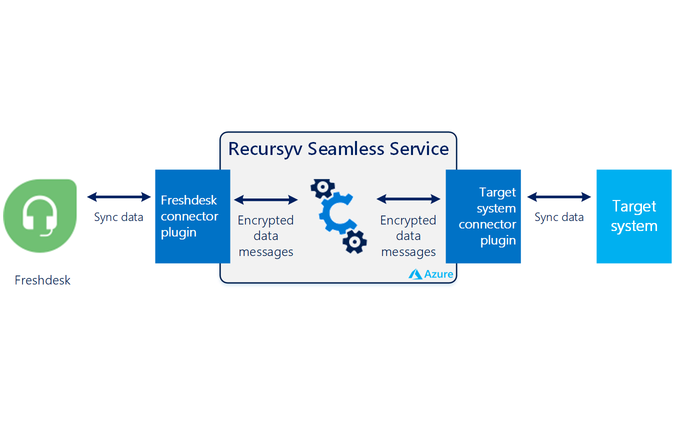 As each implementation is subject to deploying the most appropriate connectors, and ensuring that data mapping matches how your organisation is using both Freshdesk and your other applications, it is necessary to work with Recursyv to deploy an instance of Seamless. We will discuss data integration requirements with you, and advise on the best way to develop the relevant plugins for your integration needs. These may already exist within our plugin library or require development. Development can be undertaken by ourselves or by your .NET development team interacting with the Seamless service.